We had planned to have the AGM at the Bowls Club, but they have suffered a broken hot water tank, which has soaked their carpets and which means the premises may not be available on the 23rd of September. We have booked the supper room at the Palais Theatre across the road as an alternative. 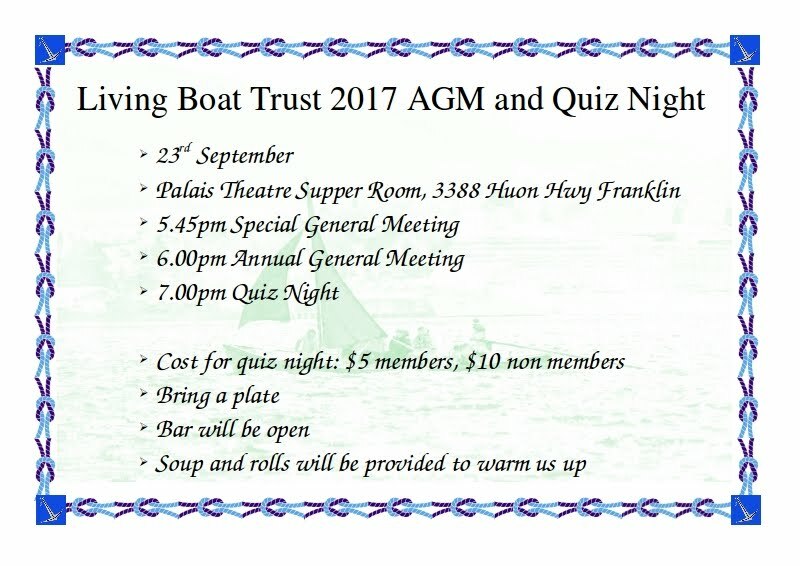 Please come to the Palais, 3388 Huon Highway Franklin before 5.45pm on 23rd of September for this event, and for the subsequent Quiz Night.